We do far more than just design great quality furniture for the modern home. Our Somerset-based paint shops are also market leaders in the sector, producing painted furniture like no other. We do not follow the pack. We work with award-winning designers providing furniture that both looks and feels innovative, fresh and made of and for our age. We take quality seriously. The very first thing that we did after our MBO was to create the brand new position of Product Manager. With us, quality control is really everything. We lead the way forward with choice. With our Make It Your Own option, every one of our customers is able to choose the colour and finish that is exactly right for their home. 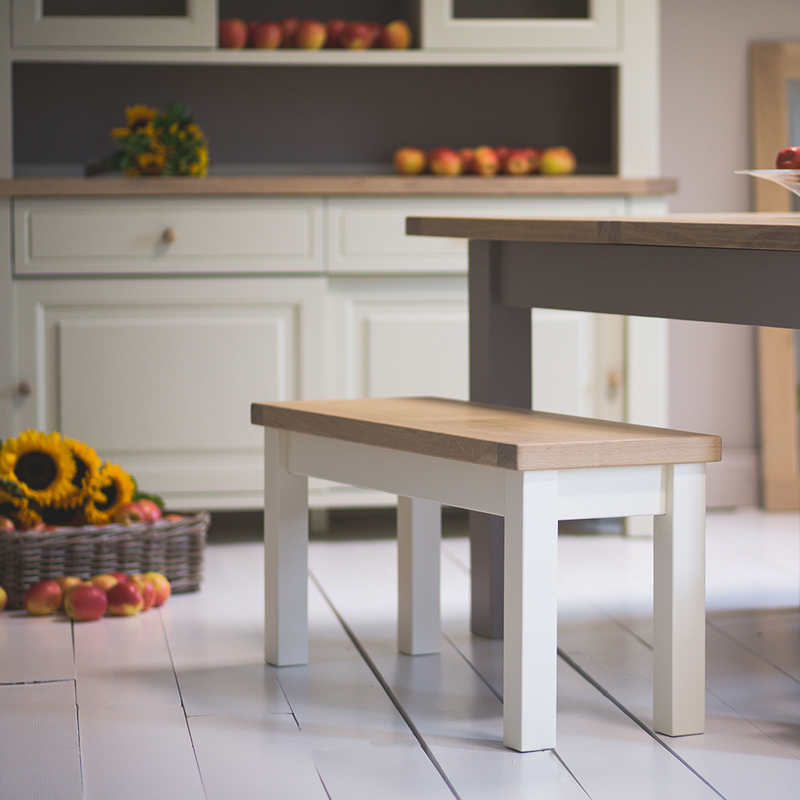 Our French inspired Bretagne furniture has been influenced by the large country farmhouse found in the french country side, but carefully adjusted to accomidate the UK house sizes, It has been a long standing classic for Charltons. Available in 5 different sized extending oak dining tables, constructed from a solid oak frames and carefully selected oak engineered panels, allowing us to remove the need for an unsightly V groove and ensuring your table is easy to clean. The Collection also features 14 cabinet and occasional pieces from large sideboards to small nests. All available in 6 different paint options and 2 oak finishes. Choice, Choice and even more Choice!